THE BRIDGE | NEW HERE? Whether you have been a churchgoer for years or this is your first church experience, The Bridge has something for you. 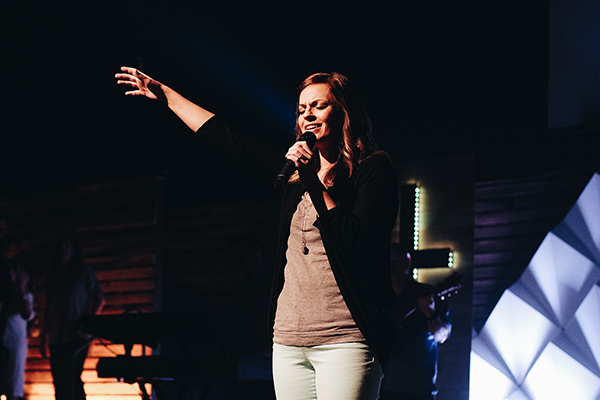 Combining cutting-edge contemporary music with energetic, creative Biblical teaching, The Bridge offers a unique worship experience. Where you’ve been isn’t as important as where you’re going. So come as you are—t-shirt, jeans, flip-flops or a coat and tie, whatever’s comfortable for you—receiving a life-changing message is more important than fashion. Oh, and bring your kids, they’ll love it! Looking for Christ-centered teaching and worship music with a creative punch that will leave you wanting more? You will be challenged to grow in your relationship with God, pursue relationships with others, and serve the world around you as the pastoral team shares practical messages from the Bible. You will experience creative, compelling, challenging presentations of God’s truth that are found relevant and applicable to your everyday life. Dynamic and soul-stirring worship music completes the weekend worship experience as we honor and praise our audience of One, Jesus Christ. Your heart will be touched and your life will be changed.